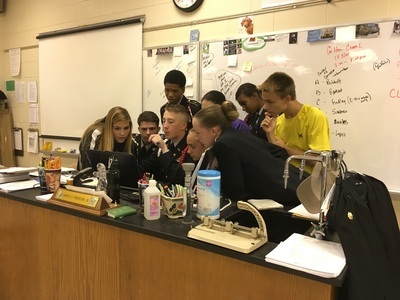 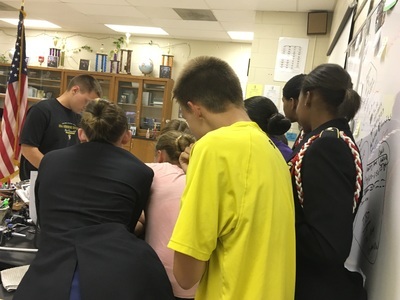 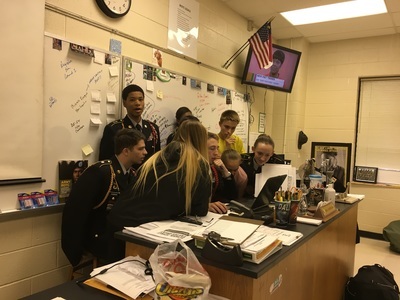 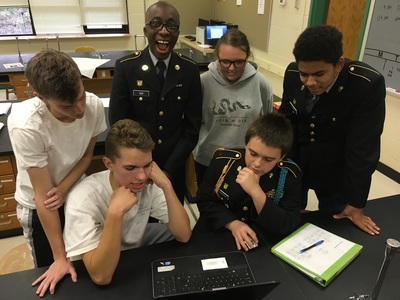 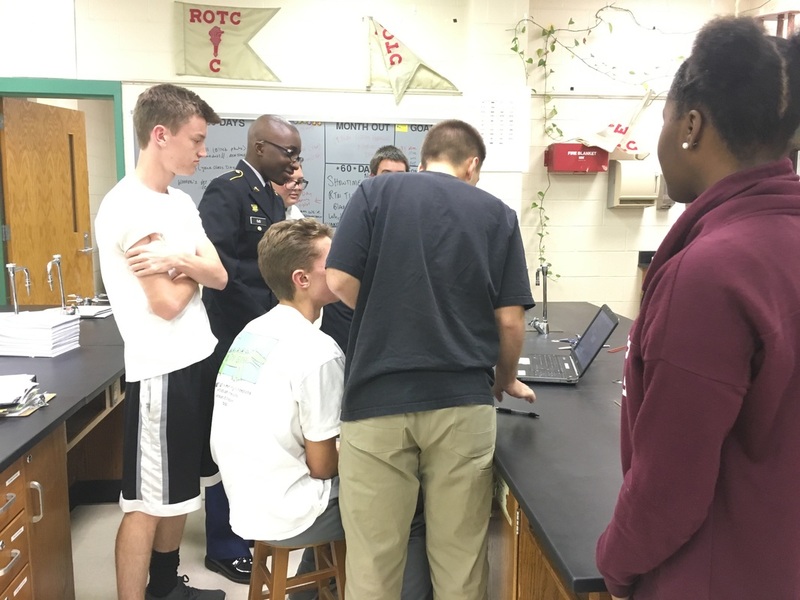 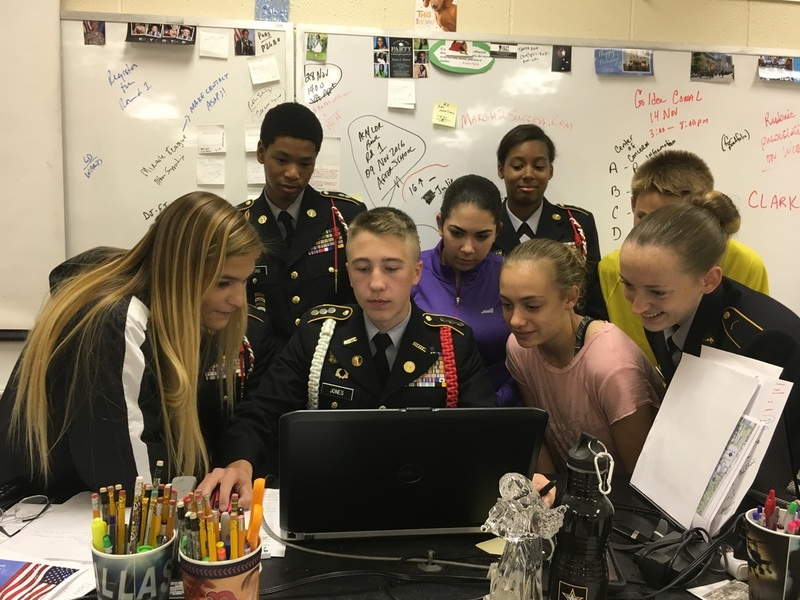 The JROTC program offers a wide variety of extracurricular activities that give students enjoyable ways to develop the knowledge, values and skills they learn in class. 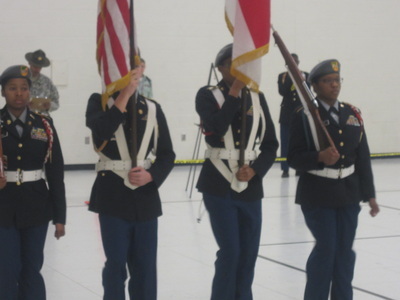 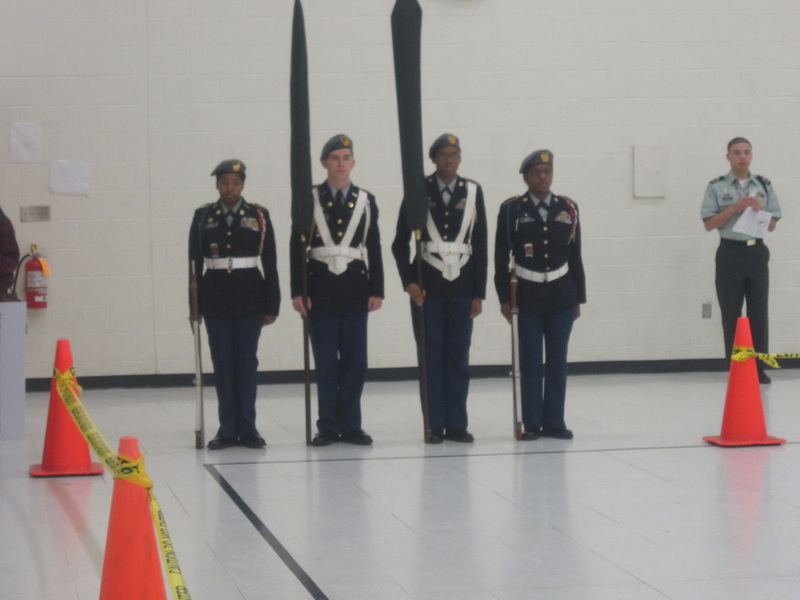 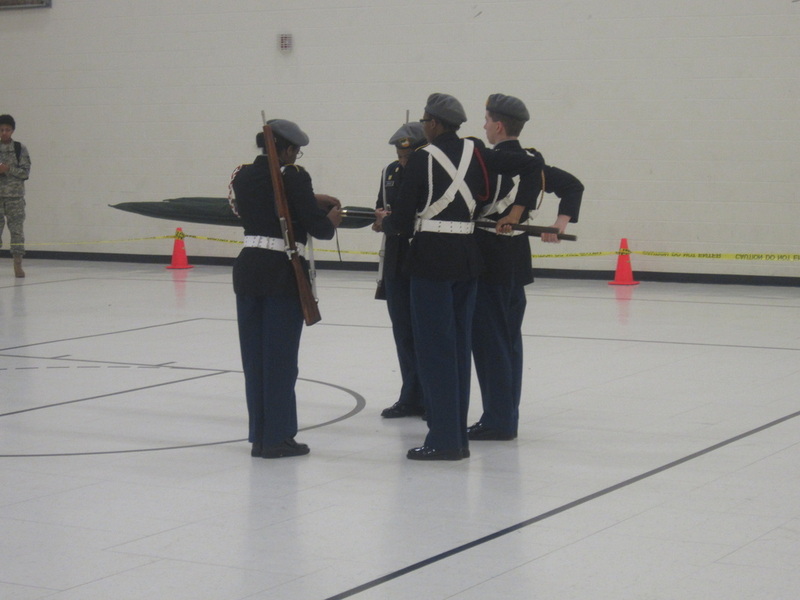 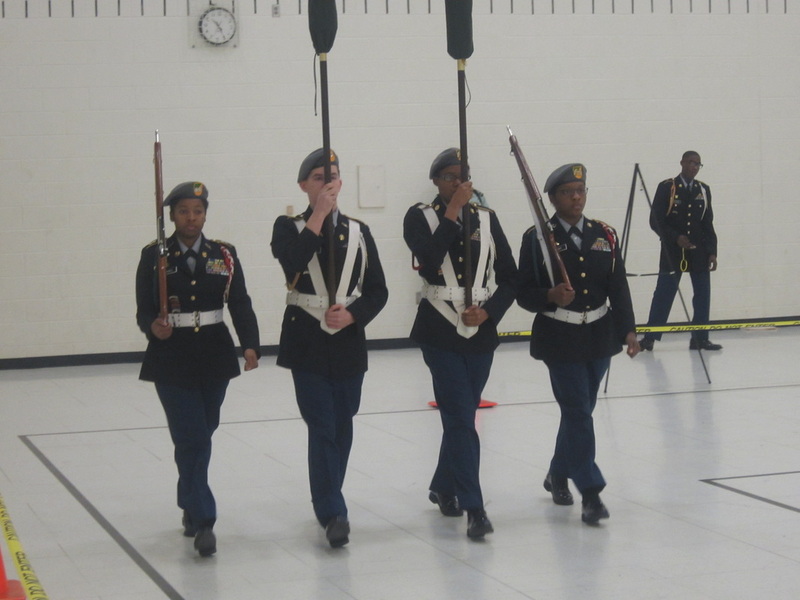 ﻿Color Guard.﻿ This is one of the most popular extracurricular activities, both with the students and with the school. Color Guard serves at many school and community events and ceremonies, and are so well received that many schools establish several teams to meet the demand. The Color Guard is made up of strongly motivated cadets who have demonstrated a high standard of dress and bearing. 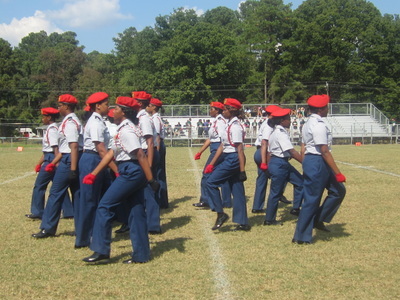 Drill Team. 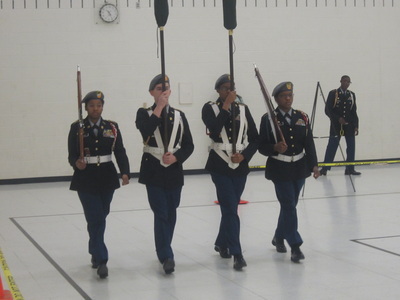 Drill team is an exciting extension of the discipline, teamwork and leadership skills learned in class. 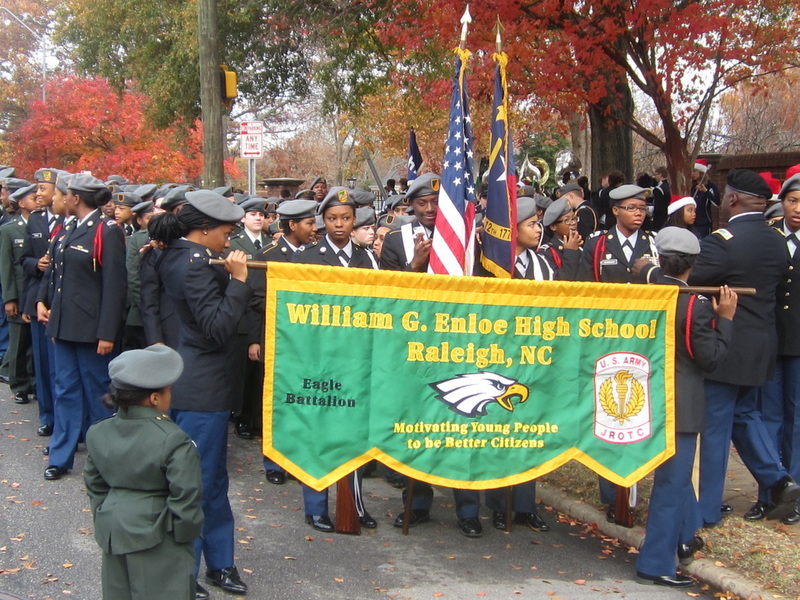 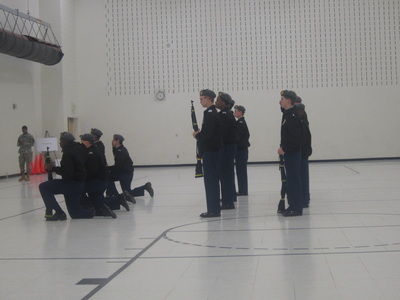 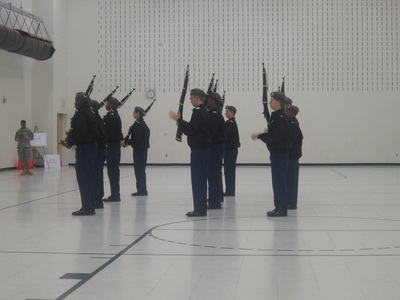 The team performs at all JROTC ceremonies and parades, as well as at many community events. 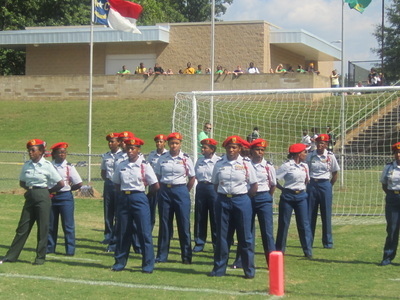 Teams can be male, female, or mixed. 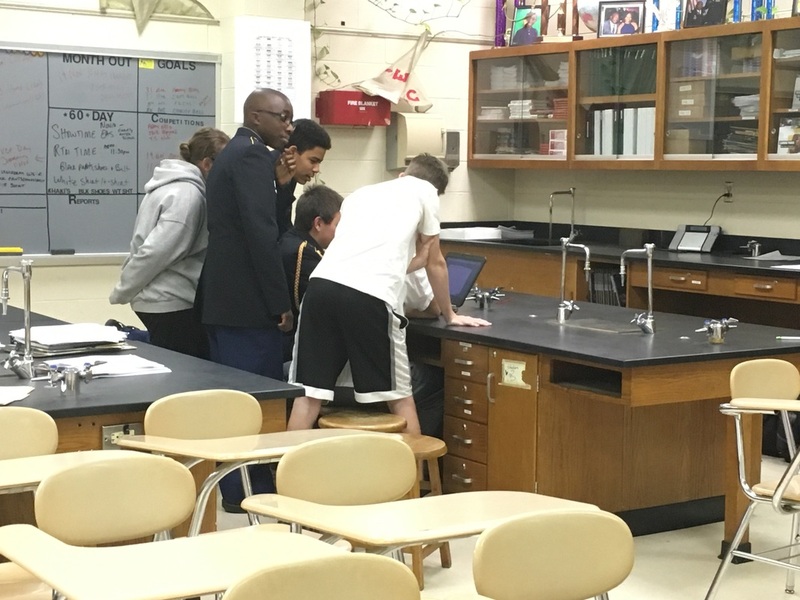 When they participate in local, state, and national competitions, they confer as much pride on their school as varsity sport teams. 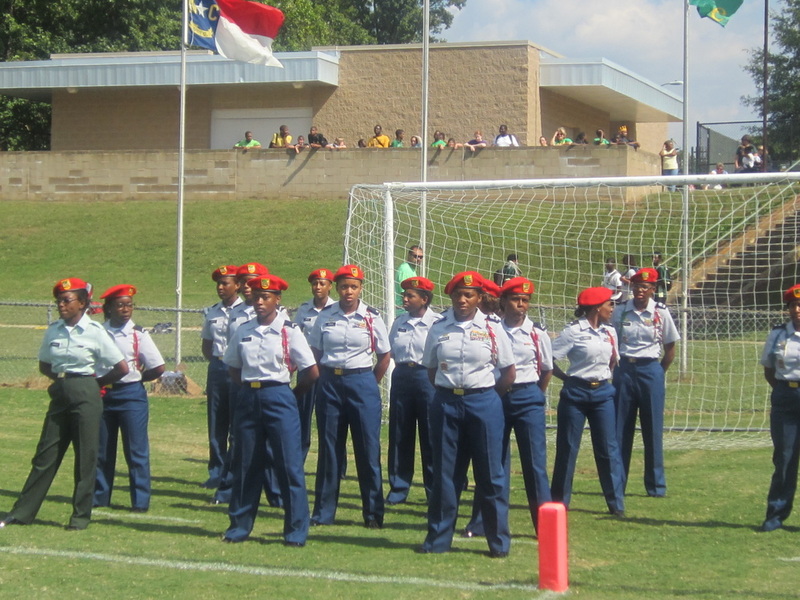 Raider Team. 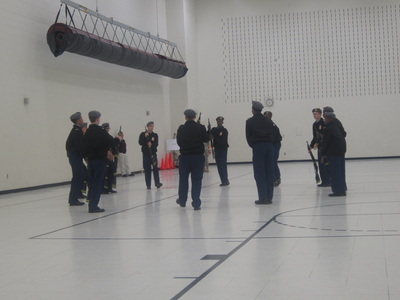 The raider team consists of 8 cadets and two substitutes, one cadet being the team commander. 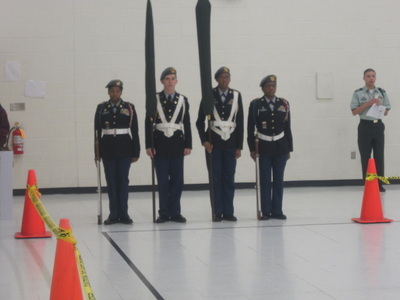 It is the ultimate unit in JROTC. The Raider Team will physically and mentally challenge you beyond your imagination. This demanding and challenging program follows the roots of the elite U.S Army Ranger School. 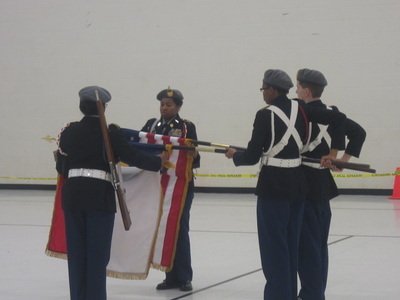 The cadets, upon successfully completing this rigorous course, is awarded the prestigious Raider Tab. 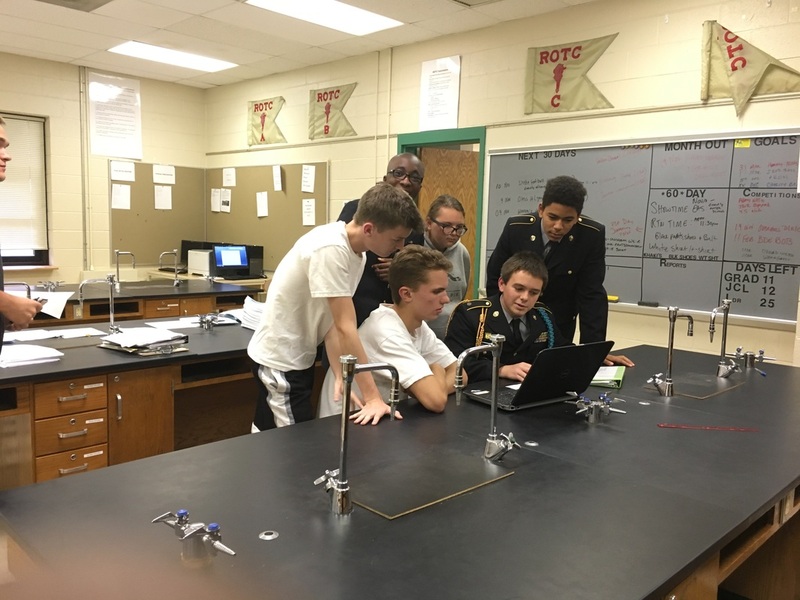 Only the very best will wear the coveted Raider Tab. 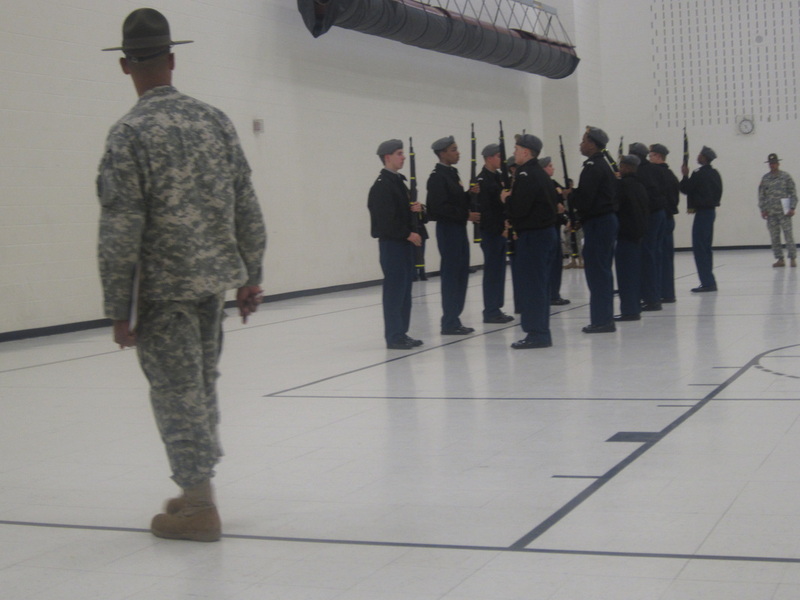 The Raider course consist of map reading, land navigation, 20-pound rucksack march, physical fitness test (push-ups, sit-ups, and two mile run), first aid and many other arduous activities. 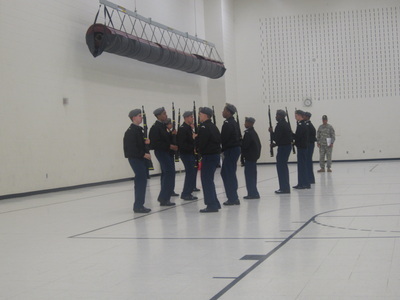 Cadet Challenge. 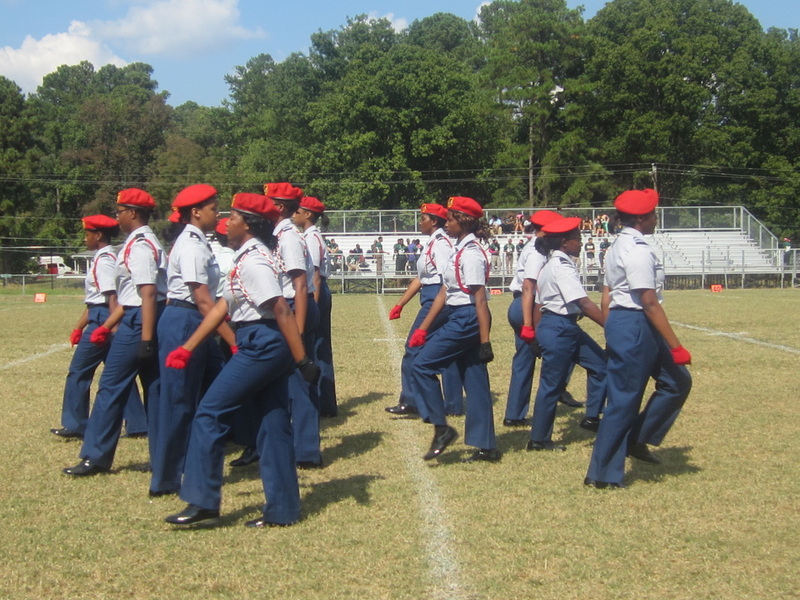 Develops an appreciation of diet and physical fitness in maintaining good health and appearance. 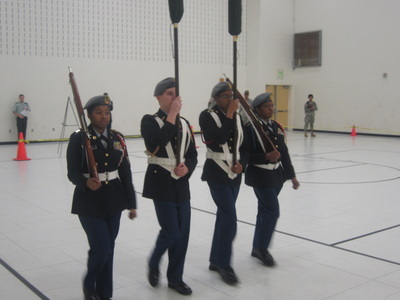 Perform satisfactorily at age group levels in the president's physical Fitness Program by striving to complete each of the five events at or above the eighty-fifth percentile. Summer Camp. 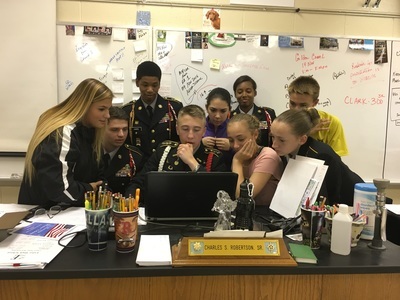 Each summer, a school may send several of their cadets to a special summer camp, where the students are given intensive training in leadership, discipline, teamwork, responsibility... and fun. 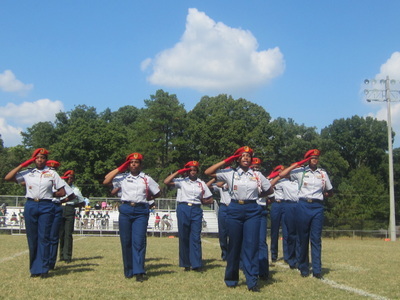 In addition to camp activities like volleyball, the students take on challenging confidence on obstacle courses, practice water safety techniques and land navigation, and get plenty of exercise. The regimen is demanding, but the students invariably like it and want to return the following year.